Many different names are used to describe adverse reactions to foods, including food hypersensitivity, food intolerance, food allergy and other medical and non-medical terms. This causes confusion for those who have recently started suffering from symptoms that could be an allergy or intolerance. An allergy, with delayed symptoms can also often be confused with an intolerance, so it is always best to consult your GP about your symptoms. Food intolerance is much more common than food allergy. Symptoms are often slower and may be delayed by many hours after eating the offending food and can even last until the next day. Fatigue, bloating, irritable bowel, joint pains, rashes, nettle rash, eczema and migraine are some of the symptoms caused by a food intolerance. The most accurate way of identifying whether food intolerance is the cause of these symptoms is an Elimination and Challenge Diet. If your symptoms diminish or disappear with the removal of certain food items, and then reappear with the reintroduction of the food, then you have proved the cause is dietary. 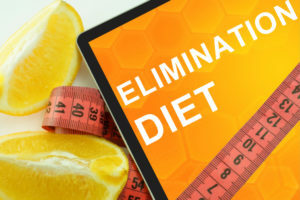 Elimination diets must be followed strictly and for the correct period of time to be effective. Having performed an elimination diet and found the cause of your symptoms, the only treatment is to avoid the offending food(s). Avoiding a large number of foods is not sensible, as good nutrition is vitally important, and because repeatedly eating a small number of foods tends to make intolerances worse. A dietitian will be able to ensure that your diet is not excessively limited, and that it contains all the necessary vitamins and minerals you need. 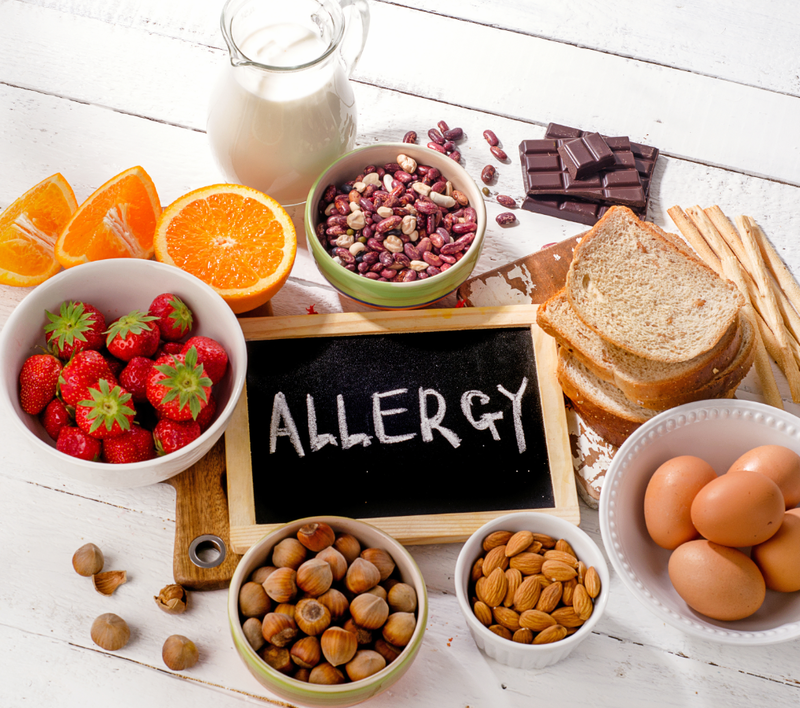 A food allergy is caused when the body mistakenly makes an antibody (IgE) which ‘fights off’ the food when it is eaten (or sometimes is just in contact with the skin). The symptoms are usually those of ‘classic’ allergy such as a red raised, itchy rash (Urticaria), wheezing, vomiting, severe gut symptoms or (very rarely) sudden collapse. Most people will therefore already recognize that the food causes them a problem. There are reliable blood tests and skin tests, available through the NHS, that can be used to quite accurately confirm the presence or absence of food allergy. Although some tests for food intolerance may be scientifically reliable, their relevance to food related symptoms is scientifically unproven. The Gold Standard, and only way, to ascertain which foods cause adverse reactions, is by accurately recording the times and duration of all symptoms, illness or stress, as well as everything you eat and drink. This includes all prescribed medicines and other supplements, all sweets, nibbles and even licking out the mixing bowl when cooking! This record should be continued for two weeks and should be representative of your normal diet. Use a new page each day. Ideally, it should be analysed by a registered dietitian or nurse with nutritional training. It is also helpful to keep food packaging which lists ingredients for reference by the health care professional. For more information and advice contact the Allergy UK Helpline on 01322 619898, Monday – Friday, 9am – 5pm or visit the Allergy UK website www.allergyuk.org and use the ‘live chat’ feature.